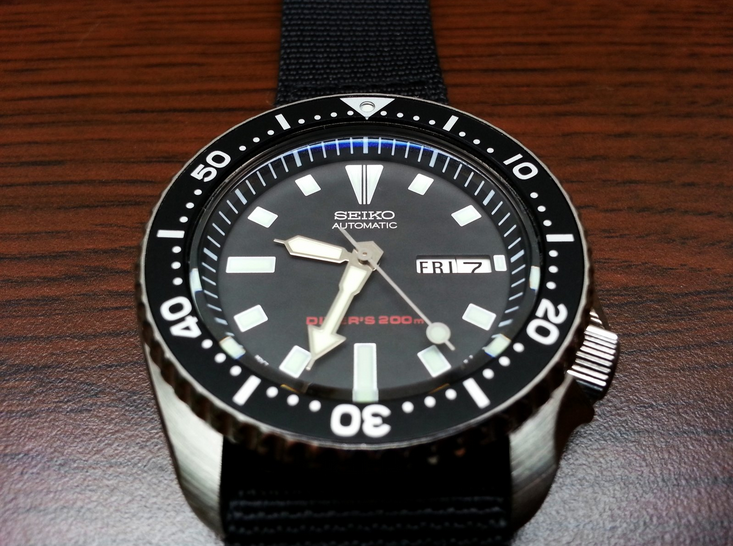 This is one of those Seikos that you fall in love with every day, and for the price, the watch is a steal. 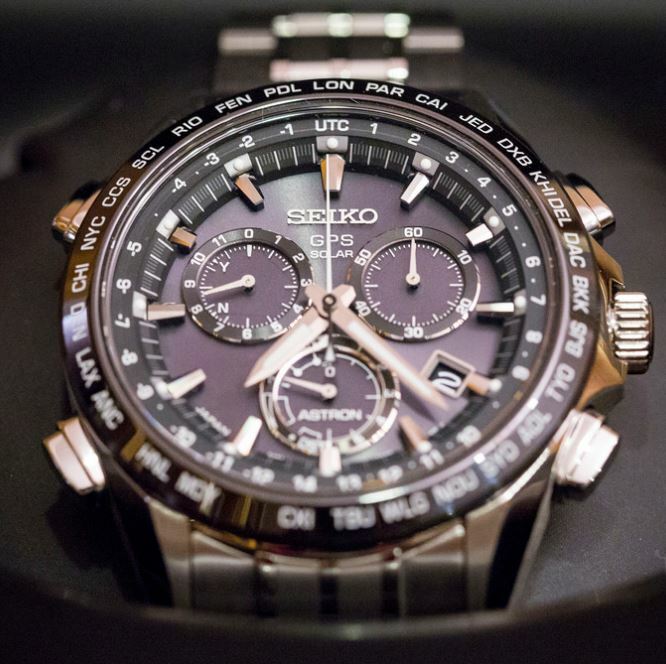 Seiko is one of the most dedicated companies to the art of timekeeping. 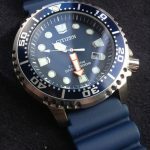 With a long history and experience, the Japanese brand has truly transformed the culture and science of fine watchmaking. 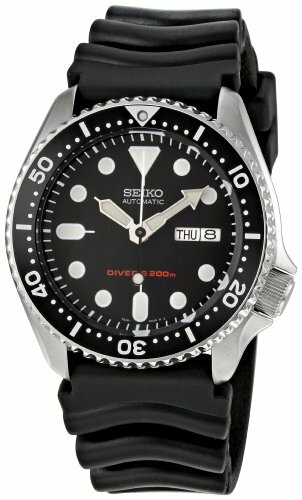 The SKX007K Diver’s Automatic Watch is one of the most appreciated models from Seiko by both divers and casual wearers. 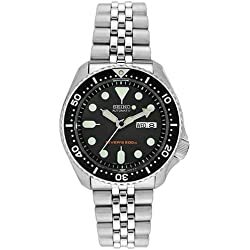 It is a great deal for all kinds of watch lovers fusing state of the art technology and beautiful craftsmanship with a very affordable price. 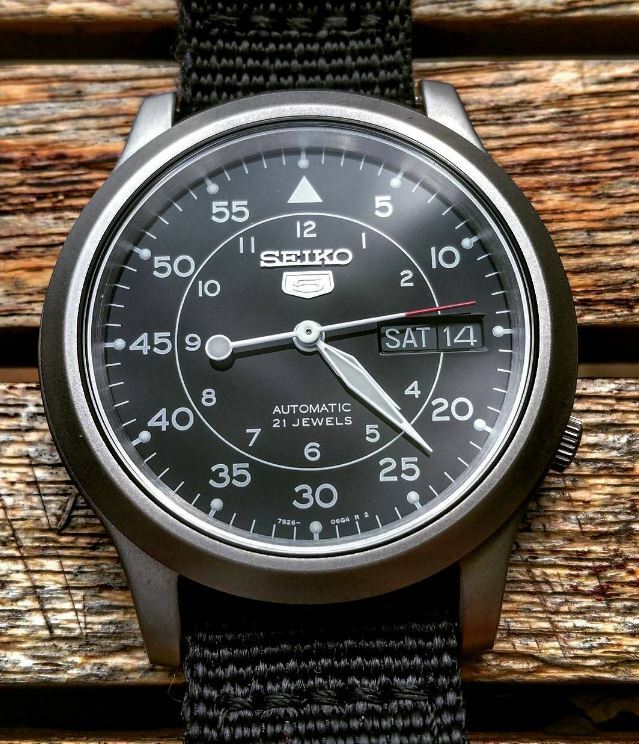 The design is one of the strongest points of this watch. The case has a flawless brushed finish on the top and a spotless mirror-like polished one on the sides and back. 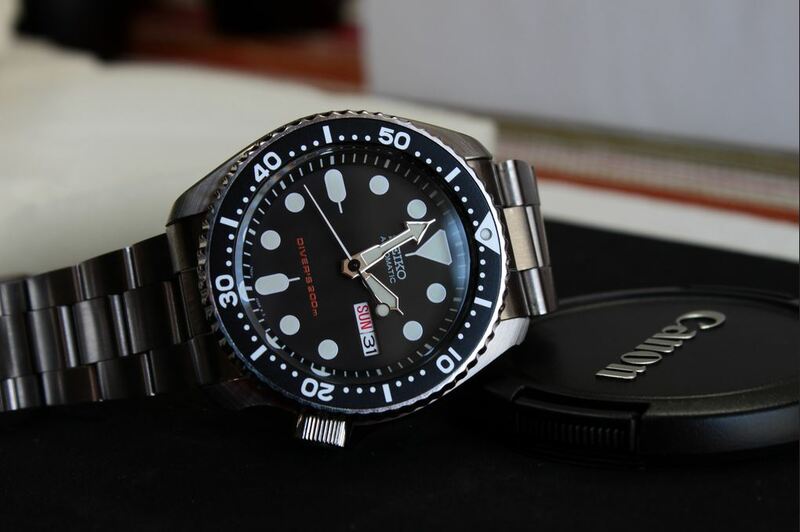 The bezel of the watch is very smooth and looks like it’s from a much more expensive model. 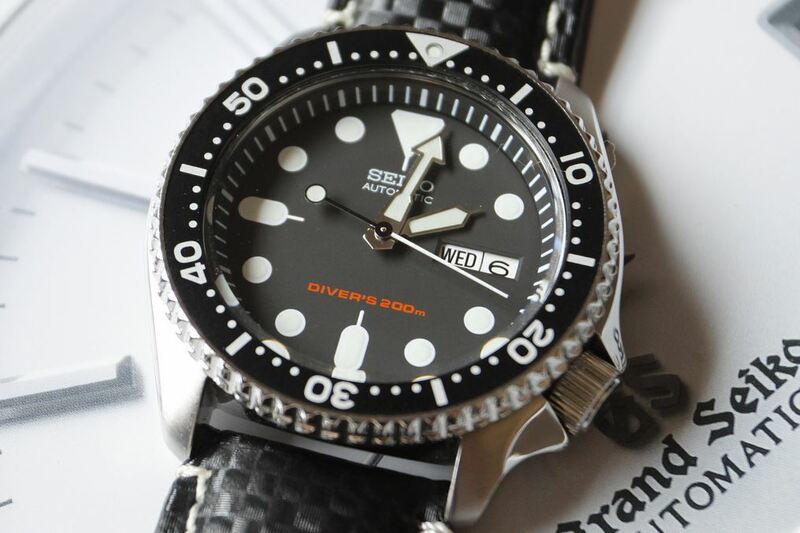 The contrast with the black dial is very pleasant to the eye. 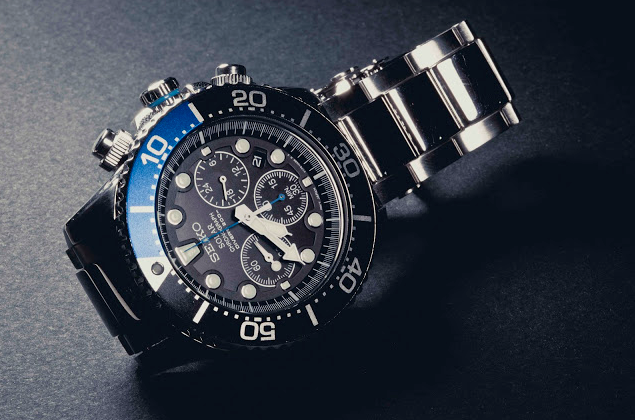 All in all, the watch has a very attractive design, from the carefully molded crown guards to the stylish minute markers and the wave logo on the back of the case – excellent choice given the fact that this is a diver’s watch. 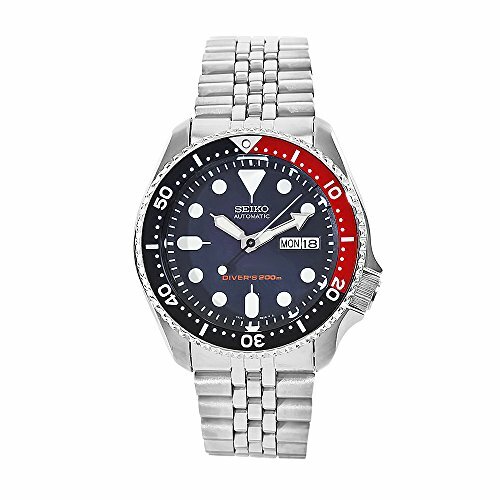 Seiko uses for the SKX007K a Hardlex crystal (mineral crystal) for extra strength and even though it’s not as resistant to scratches as sapphire, this crystal is clearer so it seems like a balanced choice. 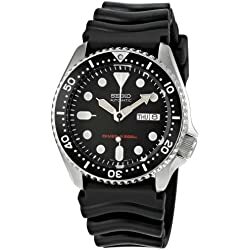 Being a watch designed primarily for water sports, it has a sturdy build quality and is waterproof for up to 200 meters. 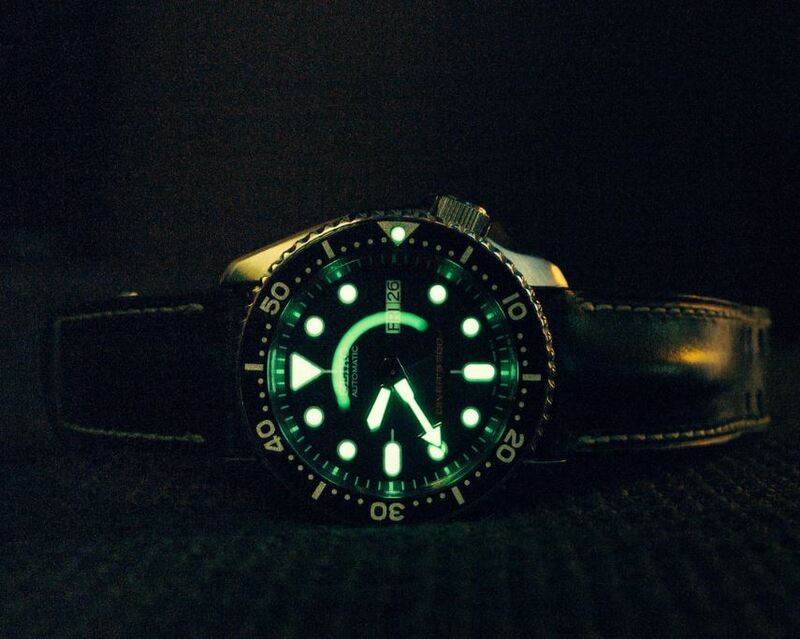 One important aspect is the lume and this is where Seiko shines. 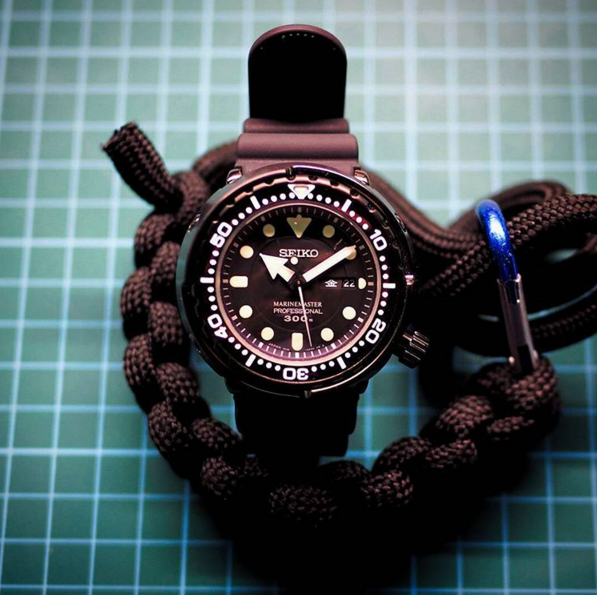 There are stacks of LumiBrite strategically applied to the hands and hour markers and they are very bright and give a distinctive look while also being extremely practical in dark environments. 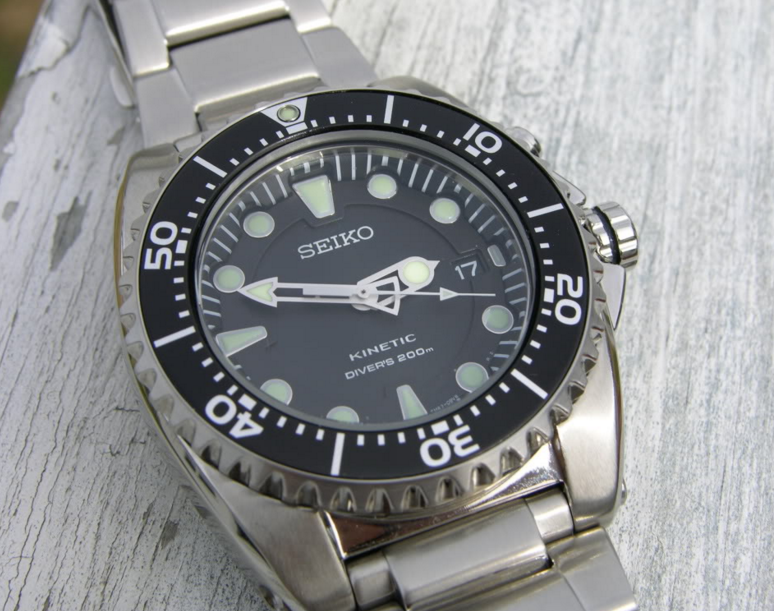 The movement of this watch is represented by Seiko’s 7s26, a simple but efficient automatic system. 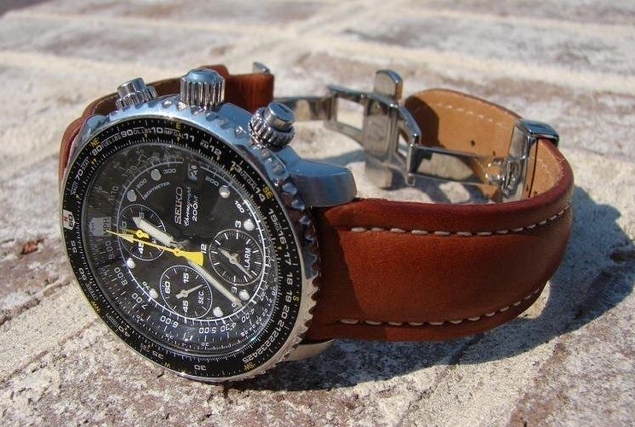 A disadvantage of it is the fact that it’s non-hand winding and non-hacking. 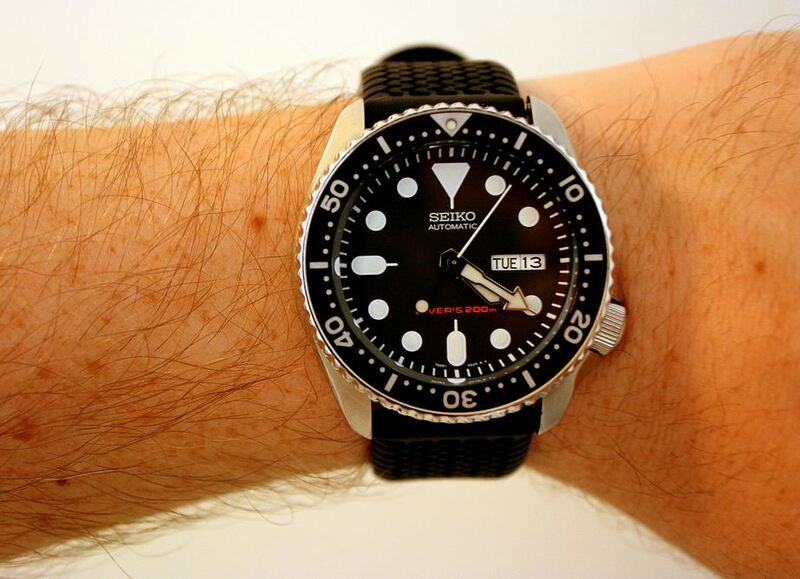 The accuracy is also not perfect, the range is generally rated at something around -20 to +40 seconds per day. 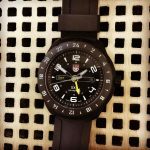 Despite that, the mechanics are of high quality and for those that like to wear their watch constantly this is not an issue. 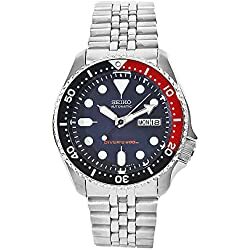 An outstanding piece of art, solid for diving and challenging expeditions, an impeccable luminescence thanks to the LumiBrite lume, and no worry about the batteries thanks to Seiko’s automatic movement technology – this watch truly has great value for a relatively low price. 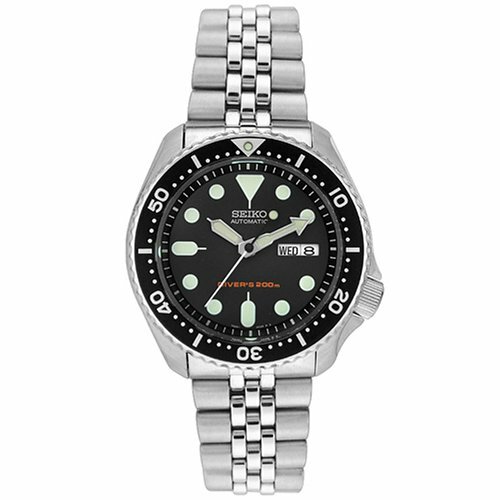 The SKX007K is sure to please lots of fans of affordable high-quality diver’s watches.